Fema Duterte on marijuana ‘joke’: He was only teasing the idiots! The Presidential relative, who claimed victory on the sacking of Nayong Pilipino Board Members, said the President only joked about using marijuana to tease his detractors. Presidential kin Maria Fema Duterte recently said that the President only said his joke about using marijuana to keep him awake to distract the ‘idiots’. 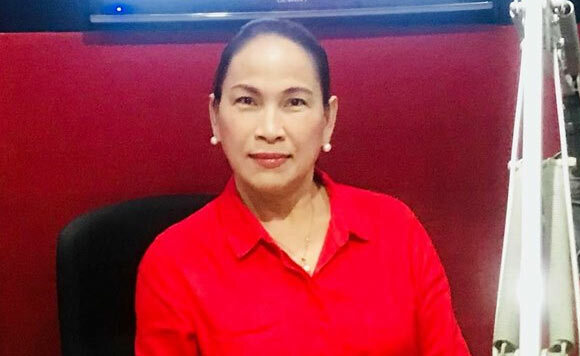 On her Facebook account, the former Nayong Pilipino Executive shared the news about President Rodrigo Duterte using cannabis to keep him awake and said some remarks. “ I know the President is teasing the IDIOTS para magkagulo sila and magalit. Everything he said so far was calculated and always end up with a pie on the face of the melting ice“, she wrote. It can be recalled that President Duterte said the joke publicly as a complain about the schedule of ASEAN meetings. However, he later on retracted his statement, saying that the joke was just said in jest.